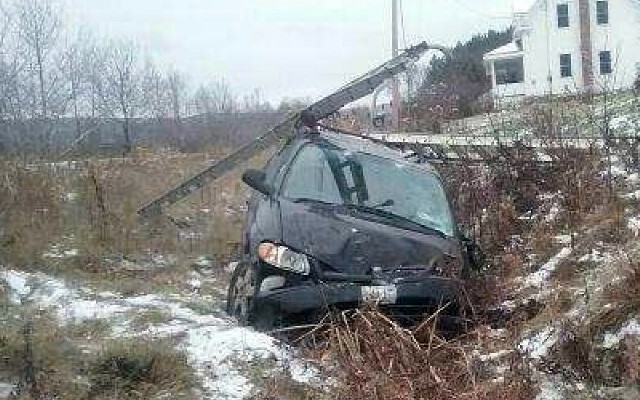 A van is a total loss and a car received extensive damage as a result of two separate single-vehicle accidents which happened in Fort Kent over the weekend. FORT KENT, Maine — A van is a total loss and a car received extensive damage as a result of two separate single-vehicle accidents which happened in Fort Kent over the weekend. On Friday, Nov. 25, 24-year-old Brenton Levesque of Fort Kent was driving a 2006 Dodge van eastbound on U.S. Route 1 when he “skidded off the roadway and struck a ditch,” according to Fort Kent Police Chief Tom Pelletier. Sergeant Dalen Boucher investigated the accident and determined the van, which Gene’s Electronics owns, to be a total loss. Chief Pelletier said. Levesque is an employee of Gene’s Electronics. “Speed and road conditions were factors in the accident,” Chief Pelletier said. Sgt. Boucher did not issue any traffic citations. Levesque was uninjured in the accident. 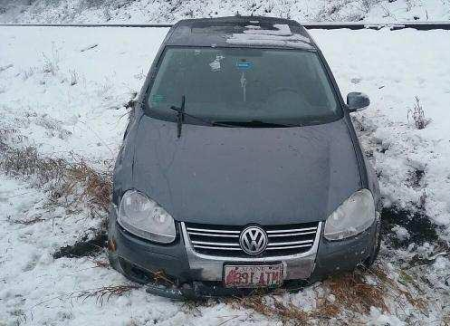 On Sunday, Nov. 27, a 2009 Volkswagen passenger car operated by 21-year-old Megan White of Corrina crashed while traveling west on U.S. Route 1. White “lost control of the vehicle, which left the roadway and rolled over,” Chief Pelletier said. White was not injured, according to Chief Pelletier, who also attributed speed and road conditions as factors in the Nov. 27 accident. Sgt. Boucher declined to issue any traffic citations. Twins Service Station towed both vehicles from their respective accident sites.